888poker employ the strictest anti-hacking security standards so you can deposit and withdraw your money with absolute confidence. 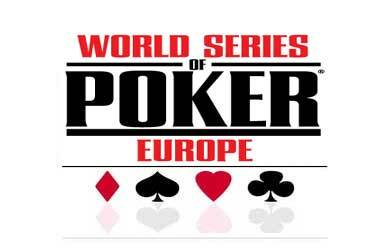 888poker is a brand belonging to The 888 Group and is licensed by the Government of Gibraltar. The online poker room gives top priority to fair play, owing to which it has its RNG results and monthly payout percentages reviewed every month by internationally acclaimed auditors and publishes the reports on its website. Don’t forget to use 888poker Bonus Code to receive your sign up bonusSince 888poker bears the seal and certificate of eCOGRA, the industry watchdog, players can rest assured that it adheres to the strictest industry standards and provides a 100 percent safe and secure online poker gaming environment. Sign up now for 888poker through the links above at the top, make a deposit and DOUBLE your money! Your very first deposit at 888Poker will get rewarded with a 100% bonus that can go up to $400 (T&C’s apply) use promo code: WELCOME100. This bonus is easy to clear and it’s simply perfect for beginner players that are just starting out in the world of online poker with the help of the bankroll boost that they will get. 888poker welcomes newly registered real money players with a $400 welcome bonus (T&C’s apply), a $100k First Depositors’ Challenge, and a First Depositors’ Freeroll. 888poker offers new players a warm welcome bonus of 100 percent up to $400 (T&C’s apply)on their initial deposits plus an invitation to the $100k First Depositors’ Challenge played on Fridays at 20:00 GMT. The top 10 players win a seat to the Sunday Challenge, which is played at 20:35 GMT. New players are also invited to participate in the First Depositors’ Freeroll with a prize pool of $4,500. This freeroll comprises seven daily $500 depositors’ freerolls plus a seat to the $1000 Depositors’ Freeroll. Here are the list with all the poker variations that you can play at this poker room: Texas Hold’em (the No Limit Fixed Limit versions), Omaha, Omaha Hi or Lo, 7Card Stud / 7 Card Stud Hi or Lo. As you can probably notice the draw and mixed games are missing. But we hope that in the future they will add some more games. In case you are looking for some action outside the Texas Hold’em games you are not going to find it. Since the traffic at the other games is very limited or is simply missing. However there is still a good amount of games and tournaments available. There is no dearth of ring games and tournaments based on popular poker variants such as Seven Card Stud, Texas Hold’em, Omaha Hi, Seven Card Stud Hi -Lo and Omaha Hi/Lo at 888poker in the download as well as Flash formats. Besides, new players will never feel lost at 888poker because it provides ample assistance in the form of poker tutorials and poker tips. 888poker runs attractive tournaments, which challenge players to win shares in premium racers, tickets to live sports events, branded merchandise, luxury hotel packages, and much more. One of the highlights of 888poker is the Daily Challenge Series with a monthly guaranteed prize pool of $1 million. 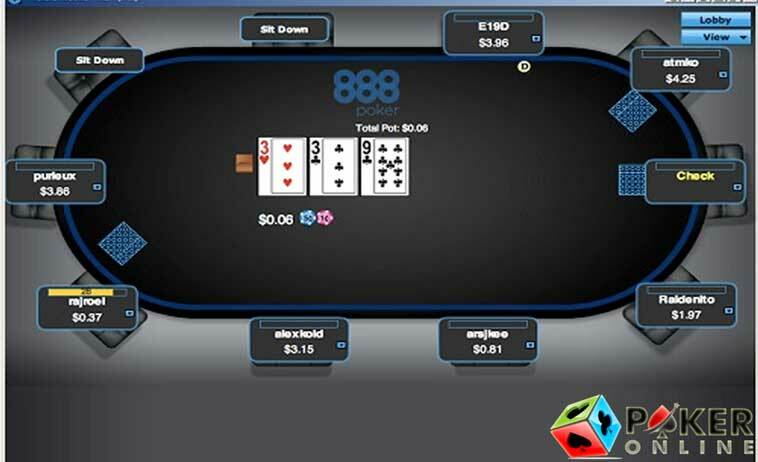 888poker also runs Double or Nothing tournaments, a series of Sit N Go tournaments, which challenge players to either double their cash or get nothing. 888poker is also a great online poker venue to qualify for prestigious live poker events such as the World Series of Poker (WSOP) and the 888poker Super Stack. 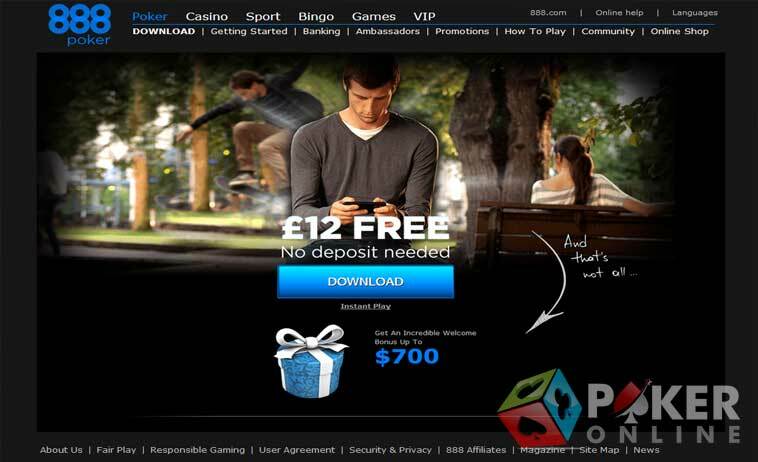 Only registered members of 888poker can deposit funds into their online poker accounts. Poker players are first required to register a real money account, after which they must login using their password and usernames, visit the Cashier section, and hit the Deposit button. They will be transported to a fresh page, which displays the various payment methods they can use. Banking at 888poker is safe and secure because it employs sophisticated encryption and security technology to protect players’ financial information and money. Players can use methods such as Visa credit and debit cards, Bank Transfer, MasterCard, CashUp, Moneta, ClickandBuy, Skrill (Moneybookers), Chinese Debit Cards, Laser Debit Cards, Commerzbank, eNets, Deutsche Bank, Neteller, EntroPay Virtual Visa Card, Netpay, Ewire, PostePay and Kalibra, Pay&PLay, PayBox, WebMoney, POP, Qiwi VISA Virtual, and PayPal, to fund their accounts. As far as possible, the online poker room withdraws funds through the same method players used to make deposits. However, the online poker room requires authorization and documentation to process withdrawal requests. Players are not allowed to withdraw bonuses till they have satisfied the wagering requirements. 888poker Rewards is one of the best loyalty programs in the industry, challenging players to play real money poker, collect points, and exchange them for attractive rewards. 888poker Rewards is synonymous with larger bonuses and cash backs and gifts. Whenever players participate in cash games and tournaments at 888poker, they will be rewarded simultaneously with Status Points and Reward Points as well as invitations to exclusive weekly tournaments and freerolls. While Status Points determine players’ status in the rewards program, the Reward Points can be exchanged for iPads, vacation packages, or cold hard cash. The 888poker rewards program comprises 10 statuses, and the number of Status Points earned per month determines players’ status for that month. If players achieve the VIP Status, they will retain that status for the next 12 months. 888poker takes good care of its customers and has one of the best customer support systems in the industry. The online poker room’s well-trained and friendly customer care representatives are accessible 24 hours per day, 7 days per week, and 365 days per year, offering support in 11 languages through email, phone, and live chat. 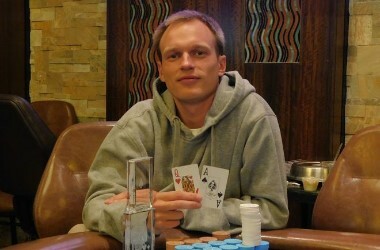 There is a nice variety of online poker tournaments available at 888poker. The buy in for the tournaments start from as little as $1 and can go up to even a couple of hundreds of dollars. But what really manages to make this poker room special is the soft competition that can be found at the online poker tournaments. 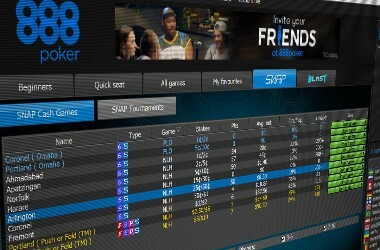 Overall 888poker is considered to be the paradise of the small stakes tournament players, since those are by far the most popular around here. There are only a few large tournaments available that also have some large buy ins. The most important tournament is called the Sunday Challenge and the guaranteed prize is worth $100,000. The buy in for this tournament is $82 + $8 and takes place each and every Sunday. When choosing an online poker room to play Sit and Go poker tournaments there are different factors that you should take into consideration like: the player traffic, the competition, the fees you have to pay, the variety and types of tournaments that are available and the structure of the SNGs. 888poker has a decent amount of player’s traffic available for the SNG tournaments. The competition is considered to be very soft compared to the industry average. And at the same time there is a good variety of SNG tournaments including: Double or Nothing, Triple Up, Turbo, Super Turbo, Heads Up and many more. The 888poker software received an update recently and has managed to become one of the best poker clients available right now. Just a few years ago, 888poker used to be probably one of the simplest and ugliest poker rooms out there. But things have improved drastically ever since the Poker 6 version was launched. It is packed with 100 brand new features. It has a 3D lobby and some impressive graphics. In addition to all that you also get the chance to play at the PokerCam tables where you can actually see your opponents via webcam. This way you get to have an online poker experience that is closer to what is happening at a live poker game. In case you are using Linux or Mac, you can always take into consideration using the no download instant play version of the software. While you might not get the same functionality as the downloadable version, you still get the chance to find a fast and reliable poker client. 888poker took a deep hit back in 2006 when they stopped accepting US players. But you can still find a good amount of poker players, while 888Poker is considered to be situated in the middle segment in terms of traffic. The online statistics are showing that during the peak hours you get to find around 8000 tournament players and 2000 players at the real money ring game tables. Just like most online poker rooms out there the vast majority of players can be found at the Texas Hold’em games. While 888poker has a decent amount of players’ traffic, you get to find a very soft competition at the tables. The average viewed flop percentage goes up to 70% even at the middle stakes. And this is definitely a sign that the competition is soft. The reason why 888poker managed to keep a soft competition through all these years is because there is still a good influx of players that are coming from the other gambling related services like the online casino, sportsbook and online bingo. This way tons of casual players can be found at the tables that are just looking to try something new and they are not familiar with strategies nor do they have a good knowledge of the game or experience playing. There is currently no rakeback deal available for 888poker and this poker room prohibits to their affiliates to offer rakeback deals. Instead of running rakeback deals you can find a VIP loyalty program that is packed with tons of cash back prizes that can go up to 36% of the rake that you pay, based on the loyalty level that you manage to reach. Start playing poker, collect loyalty points and start receiving some cool rewards. Things are kept very simple at 888poker. 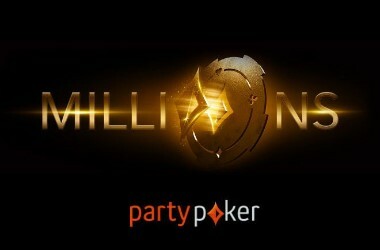 The points will get credited automatically to all poker players the moment they sign up for a real money account. 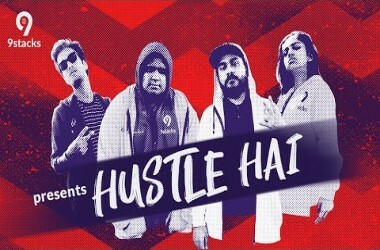 These points can be transformed later on into cash back, merchandise from the Online Shop (like branded hoodies, iPads and holiday packages) or can be used to buy tickets to online poker tournaments. One of the only things missing here at 888poker is the draw and mixed games. Except for that everything seems to be perfect. The customer support service is excellent. There are tons of promotions, bonuses, rewards that you can get as a player. The competition at the tables is very soft and keeps on being like that after more than 10 years on the market. Thanks to the recent software update you get to find cool graphics tons of new features and an up to date poker client that has to offer everything that modern day software must offer.